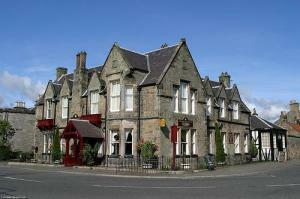 In the centre of Roslin and close to Roslin Chapel, The Roslin Glen Hotel offers friendly service, a restaurant, bar and en suite rooms with great views of the town. Roslin Glen Hotel boasts a warm and inviting restaurant where the chefs freshly prepare all food and use locally sourced ingredients. There is also a public bar with pool table, dart board and a good selection of drinks. The hotel is about 7 miles (11.3 km) from the centre of Edinburgh.